Some good news for Indian Football fans as the All India Football Federation(AIFF) announced that U-15 i-League will kick-start from September 2015. The announcement was made during the i-League Workshop which was held at the AIFF Headquarters, Football House on Tuesday, 7th July 2015. Mr. Sunondo Dhar, the i-League CEO stressed that the league is mandatory as per Club Licensing Criteria. He stated, "If you look into the Club Licensing criteria it’s mandatory for the Clubs to have junior Teams. 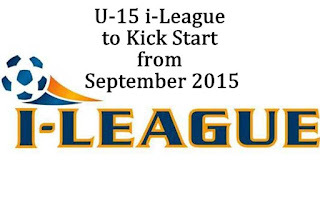 After the success of the U-19 I-League, the intention was very much there to move into the junior age categories and we are glad to announce the launch of the U-15 League." National coach Stephen Constantine opined, "This is the beginning of us looking at junior age-groups. With the U-15 sorted out – we should be venturing into the U-13 and U-11 from now on." Constantine further added, "We need to accept that it is through our Indian youth system that we are going to build a Team for the future. Unfortunately everybody wants results immediately but there is no shortcut when it comes to development." Scott O'Donell, the AIFF Technical Director expressed his happiness on the announcement of U-15 league. He said, "Proposed U15 Youth League is absolutely essential for the development of our young Players in India. One of our biggest issues is the lack of Competitions for our youngsters. Even in the States that do have competitions, they normally last for maybe two months." He also stated the challenge the league faces in the form of Age Fraud. "It is not enough. The biggest challenge it to curb age fraud. The honesty and integrity of the Clubs would be at stake," he said. The league will involve AIFF Academy, i-League clubs, Second Division i-League sides and even private Academies. It will also include the Regional Centers of Sports Authority of India. 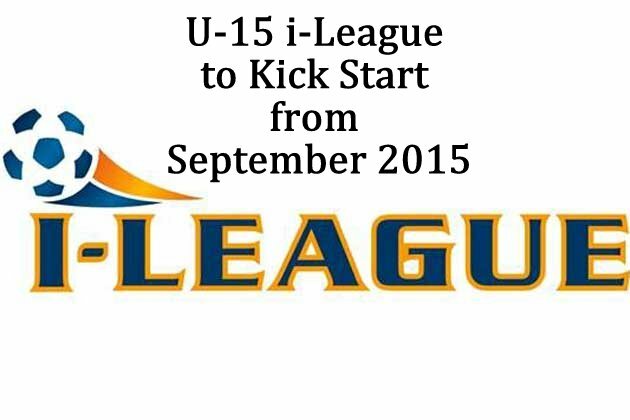 The format of the U-15 League will stay the same as the current U-19 I-League. The Zonal phases will be played on home and away format whereas the final phase will be played in a centralized venue. Both Stephen Constantine and Scott O'Donell also agreed that State Associations should make further progress and initiate youth leagues for several age groups starting from as early as the age of 9. Also the Schools, Universities and playschools will prove vital in the common goal of producing good talent pool.